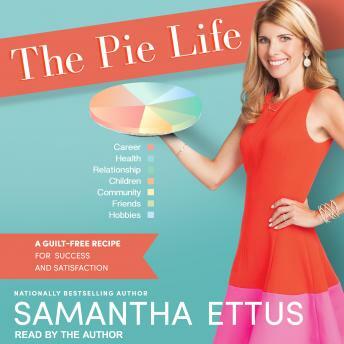 The Pie Life is the ultimate self-improvement playbook for women who work. Now is the time for you to banish the guilt and start living a life you love! Having worked with thousands of women over the past two decades, bestselling author Samantha Ettus shares the secrets for how you can sustain a thriving personal and professional life at the same time. Incorporating personal stories from hundreds of women, including TV writer and producer Shonda Rhimes, news anchor Gayle King, Wall Street maven Sallie Krawcheck, Barnard College president Debora Spar, entrepreneur Liz Lange, and Marie Claire editor-in-chief Anne Fulenwider, The Pie Life will turn everything you know about work/life balance on its head. Transform your life into one that is more satisfying, rich, and delicious than you ever thought possible and join the thousands of women already living the Pie Life.